In this first volume of Tales From Elland Road leading lights and cult heroes reveal what it was like to win, lose, suffer and laugh for the cause. Shirts are burnt and punches are thrown but words are never minced in this funny, startling and very Leeds United set of stories. It is a book of blood, sweat and fish guts. 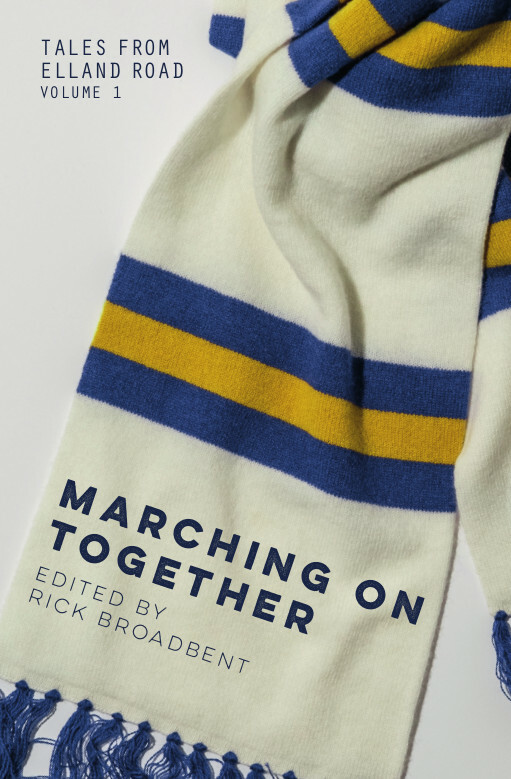 Marching On Together is edited by journalist and lifelong Leeds United fan Rick Broadbent and includes chapters and contributions from former players including David Batty, John Charles, Brian Deane, Tony Dorigo, Eddie Gray, Mick Jones, David Prutton and Noel Whelan. 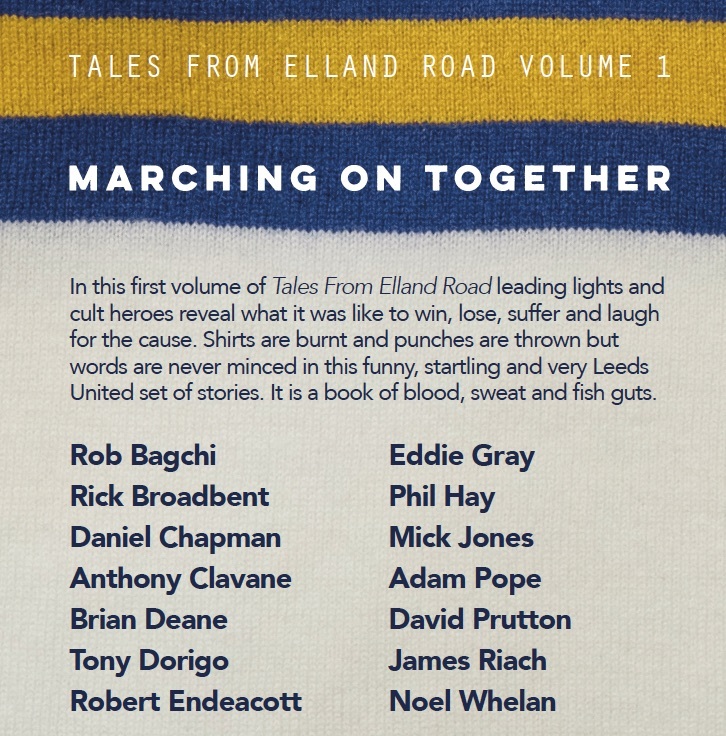 The book features a team of writers lead by Broadbent who have Leeds United in their heart - Rob Bagchi, Anthony Clavane, Daniel Chapman, Robert Endeacott, Phil Hay, Adam Pope and James Riach.